Dietz Dolls Vintage Pinup Photography, all graphics, design, and photos are © Britt Dietz. No part of this site may be used without expressed permission of Britt Dietz. Dietz Dolls is a sub group of Moments Capture Photography, serving Orange County in Southern California. Dietz Dolls Pinup Photography - Specializing in World War 2 and 1940s style Pinup photography in Orange County, California. 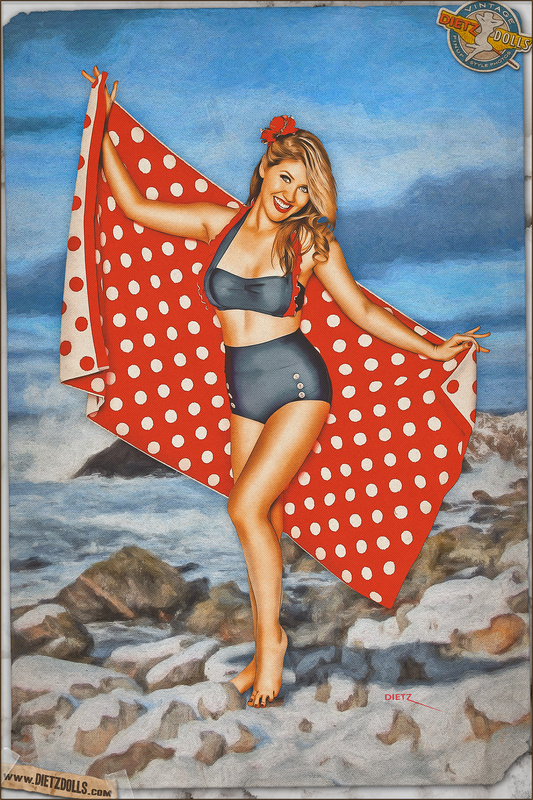 Pinups in the style of famous magazines such as LIFE and YANK magazines along with the famous pinup artists such as Alberto Vargas, Gil Elvgren, George Petty, Earl MacPherson, Al Moore, and lots more. Pinup styles also include those found on World War 2 Aircraft, known as Nose Art.